This week we begin what will be 4 episodes of looking into what was happening on the homefronts around Europe during the war. The war was a long, hard, struggle and that struggle did not just encompass the soldiers at the front but instead the entire continent of Europe. The strain placed on societies came from a variety of sources and each nation experienced them differently and with different intensities. An example of this would be how food effected the countries with some nations having far more food than others, and some nations unable to handle the lack of food at all. The governments around Europe handled these situations differently based on how their government was organized and what their societies expected. This would often manifest in the suppression of any form of dissent and a massively increased emphasis on pro-war and pro-government propaganda. These two efforts were sometimes effective and sometimes they were not, and these two success rates were not just broken down by country but also the point in the war, the season, what was happening around Europe, and how confident the people were in the government to begin with. The governments all hoped that they could make their people feel that they had a stake in the war and that it victory was personally important to them, by doing this they could get the people to withstand hardships much greater, especially in the last few years of the war when so much was asked of them. All of these items are what the next several episodes are going to be about, and it was just as important as the armies in the field. This week we begin what will be 4 episodes of looking into what was happening on the homefronts around Europe during the war. The war was a long, hard, struggle and that struggle did not just encompass the soldiers at the front but instead the entire continent of Europe. The strain placed on societies came from a variety of sources and each nation experienced them differently and with different intensities. An example of this would be how food effected the countries with some nations having far more food than others, and some nations unable to handle the lack of food at all. The governments around Europe handled these situations differently based on how their government was organized and what their societies expected. This would often manifest in the suppression of any form of dissent and a massively increased emphasis on pro-war and pro-government propaganda. These two efforts were sometimes effective and sometimes they were not, and these two success rates were not just broken down by country but also the point in the war, the season, what was happening around Europe, and how confident the people were in the government to begin with. The governments all hoped that they could make their people feel that they had a stake in the war and that it victory was personally important to them, by doing this they could get the people to withstand hardships much greater, especially in the last few years of the war when so much was asked of them. All of these items are what the next several episodes are going to be about, and it was just as important as the armies in the field. In his book The Hunger War: Food, Rations, and Rationing 1914-1918 Matthew Richardson would say this about the importance of the efforts on the homefront: "Victory or defeat would hinge as much upon which side could keep their troops in the field supplied and fed – whilst at the same time avoiding starvation on the home front – as much as it would upon which side could produce the most shells and guns. The world’s first global conflict was one in which not just armies, but entire economies – indeed entire populations – were pitted against one another. In order to wage war on this scale, the whole of society in the various combatant nations would need to swing behind the war effort in that country. Indeed, perhaps for the first time, food was to become a weapon of war, as food supply could have a critical influence over the effectiveness of individual soldiers or indeed the performance of whole armies." Over the next 2 and a half episodes we will focus on what was the most pressing concern for the populations, maybe the most important for everybody, food. For most of the belligerent in the war food imports had played a role in feeding their pre-war populations. When the war started these supplies were interrupted, this fact, compounded by the removal of millions of men from the workforce, many of which were employed in the agriculture industry. Today we will look at the Entente and how they handled, and sometimes mishandled, the question of food before taking next episode to look at the Central Powers. Britain was in a somewhat unique position at the beginning of the war in that they imported a much greater percentage of their food than any other nation. For example about 4/5ths of the wheat consumed on the home isles was imported from somewhere around the world. This was part of the reason that the Royal Navy was so important, and why the Germans thought that they could starve the British out of the war with the proper application of U-Boats. However, before the U-Boats started their unrestricted campaigns there were already problems. By the end of 1915 there were serious shortages of food, even staples like eggs were in short supply with Egg Substitute being pushed as a possible replacement. There were also issues with meat and this caused large brands like Heinz to make changes to their recipes. Instead of offering Pork and Beans they had to take the pork out and made just Heinz Baked Beans because they could not come up with enough pork to drop the tiny bit of pork that goes into each can of pork and beans. While eggs and meat were problematic the biggest problem would always be grain and bread. Bread was extremely important to the British, and all of Europe's diet before the war, this was especially true for the poorer sections of society which had problems affording much else. With the scarcity of flour, be it wheat or otherwise, the price of bread shot up to the point where it was almost unaffordable for many households and because of this price increase and others the diet of the average British household became woefully insufficient. There was a 25 percent increase in the deaths from tuberculosis, just one disease that was on the rise while millions became undernourished. This was compounded by the fact that many of the doctors were on the continent with the army and hospitals everywhere were overflowing the sick civilians and wounded soldiers. At first the British government did not impose rationing or other measures to make sure that food was always available. This was just not something that the government felt that it could do in Britain, however as the situation deteriorated they felt that they had no choice. 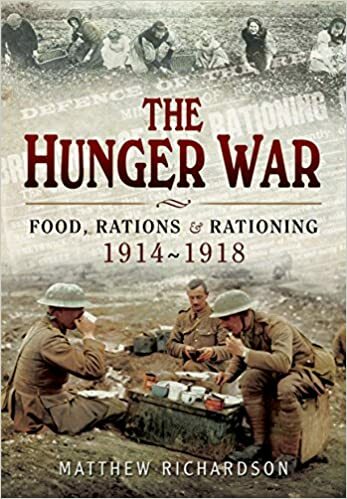 Late in the war, in 1917, they would create the Food Production department which managed nearly all facets of food production, procurement, and distribution in Britain for the rest of the war, this was not done until after 3 years of shortages. There were some easy governmental actions that were taken right at the beginning of the war, like the regulations around alcohol. This was a period of strong prohibition movements in several countries and Britain was among them, the national debate about it had been occurring before the war and once the war started there was a new set of economic arguments which could be layered on top of the usual moral arguments for the reduction of alcohol consumption. The government probably never could have taken it away entirely, however they did restrict the times during which pubs could be open to try and reduce consumption that way. There were also regulations placed around bread quick early in the war and they mandated changes to the flour that was used in bread with less focus on wheat and instead a greater emphasis on substituting other flours into the mixture. This created the British war bread which was much coarser and probably less fun to eat, however it was more economical and actually more healthy as well. There was also a regulation in place that said that bread could only be sold when it was a day old, this was put in place under the theory that people would eat less of the non-fresh bread because it simply was not as delicious. Throughout all of these changes the government was always hesitant to introduce any form of compulsory restrictions on consumers with the biggest concern being what would happen to morale. They instead relied on a constant push for voluntary rationing on the part of the population with constant calls for people to do their part in the war and to reduce the amount they ate and to not waste anything. On the flip side from reducing consumption was increasing supply. The government would massively increase their purchases overseas with the United States being the main target. During the war the exports from the United States increased from 6.4 million to 15.1 million tons, this was a hefty increase and while not all of it went to Britain a very large portion of it did. This increase helped get everybody by, but it was felt that even more was needed. To accomplish this enter the Food Production Department which was created by Lloyd George with the expressed goal of increasing domestic food production in 1917 to absolutely as much as possible. This included a greatly increased emphasis on the growing of potatoes and oats and the ploughing of huge tracts of grassland in preparation for the 1918 planting season when the new ground would be sown with wheat. Many farmers were not big fans of these efforts, it was their land after all, so the government created the Cultivation of Lands Order which gave County Agricultural Committees the ability to dictate which land did and did not get ploughed. This did not help with farmer morale, but it was that to be a necessary step and it resulted in the increase of a million acres of ploughed and planted land for 1918. These and other efforts helped potatoes to increase by a third and oats by a fifth, good solid increases that in normal years would have been seen as huge. There was also a large increase in the number of British people who were trying to grow their own food, often just in gardens either on their own land or on allotments in the cities. The desire for these allotments of land in the cities was so great that it had to be standardized and regulated under the Allotments and Small Holdings Act from Parliament where they tried to impose some method to the madness. These small gardens were helpful, if only to keep morale up and to give the people a feeling of self-determination. All of these efforts were seen to be insufficient and by 1918 the specter of mandatory rationing was hanging over the head of the government, especially on a few hard to find items like dairy products and meat. While these measures, when implemented were important, by that point meat was pretty much unobtainable for most people anyway, especially beef and pork which had been priced above the range of most citizens for quite some time. There were other types of meat that were sometimes available, but they were less savory varieties. By the summer of 1918, with the ever growing supplies available from the United States and the stark reduction in U-Boat effectiveness with the use of convoys thing started to return to some state of normal for the British people. However, even though things were trending towards normal British society had been changed, never before had the government been forced to enact such harsh measures on British society and it was one of the lasting legacies of the war, a legacy that would once again find its place in 1940. Russia is interesting, and this is the first of many times I will be saying that phrase this year. During the war there was no other country that was affected as much by food shortages as Russia, even though food was scarcer in other countries. The army was usually poorly supplied and fed and back home in the cities the lack of food would be a major contributor to the societal unrest which was lead to the February Revolution. This was a surprising development because the country that should have been in the best position in Europe was probably Russia. Before the war the country had been a major exporter of grain, and these exports were a huge piece of its economy. This should have meant that there was a surplus of food once so little of it could be exported, however the war would prove that the agricultural economy of Russia was balanced on a knife's edge and the strain of the war would knock it off. It all started with the mobilization of so many men into the army. Over the course of the war 18 million soldiers would be mobilized and millions of them would come from the farms all over Russia. The armies would also take a lot of the available food with something like half of the grain in Russia going to support the army in 1916. Then there was the shortage of draught animals since so many were taken by the army, often the best horses, which just made the shortage of manpower felt even more since the animals would have been a way to make up for that, there was also a critical shortage of equipment since so much manufacturing which would go to that purpose before the war being repurposed for war material. Other animals were also sold off early in the war when prices rose dramatically for beef and pork, I do not think I can blame the Russian peasants who saw in front of them prices that were just irresistible when compared with prewar prices. All of these factors reduced the amount of food produced in Russia, however they still would have had enough because there still was enough food in Russia for everybody, the problem was instead getting it to where it was needed in the cities. The transportation difficulties in Russia were just on an entirely different level when compared to almost anywhere else in Europe, even if you just think about shear mileage. The strain on the rail networks would eventually almost destroy them, especially when they were not setup to do what they were being asked to do to start with. In peacetime most Russian goods moved south towards the Black Sea for export, and most of the grain was produced in the Ukraine near this area. This allowed Russia to maximize its usage of its natural rivers and the warm water ports on the Black Sea for export. However when the war started Russia found itself in a position where most of its good needed to travel north and west. This would combine with just much higher traffc than usual to create maintenance issues at a much greater rate than just the changes in demand would foretell. This meant that the trains then needed to move slower, they could not be loaded as heavy, which meant that more trains were needed for the same amount of goods, which meant more wear on rolling stock, and it meant more coal, which Russia was also short on. While Russia had exported food, before the war she had been a huge importer of coal that was used to transport it. The sources of this coal were Germany, which was obviously off the table as a trade partner, and Britain which had difficulties transporting coal in the quantities required due to its own needs and the entry of the Ottomans in the war and the resulting closer of Russia's Black Sea ports. What all of these issues resulted in, other than a lot of hungry Russians, was a pretty stark divide between Rural and Urban life in Russia in 1916. In the Rural towns and villages, while production on the whole was down, the difficulties of transporting the goods starting in 1915 meant that there was often plenty to go around, if only due to lack of alternatives. In the cities there were long lines that would last for hours as people waited with ration cards to try and get their share of bread, or sugar, or whatever else they would be in line for. Even when they got to the front of those lines they often left empty handed, and it was in this fact that the seeds of revolution were being sown on a daily basis. Theoretically the official rationing and the ration cards that were provided were introduced to make sure that there was enough food for everybody to have at least some. However, this was not the case, and the taking of larger shares by the upper classes began to cause some friction. Here is a long quote from a Russian in Moscow in 1916 "there was supposed to be just enough bread in Moscow to fill the small rations of every person. That, however, was not the fact, for many people could not obtain their share, in spite of long waiting. Although not supposed to do so, some newspapers dared to publish that the reason for the precarious situation was that certain individuals, a kind of human parasite, whom the angry mothers of Moscow called ‘vultures,’ ‘hyenas,’ and other terms, were shamelessly prosperous on other people’s suffering. It was a known fact that they operated a so-called black market, selling bread and other foodstuffs, including sugar, butter, and flour, for such high prices that only wealthy people could afford to buy them. When I inquired about the manner in which bread and other food was obtained by the people operating black markets, I was told that the high officials in the food department, as well as in the police department, were co-operating with the black-market operators, and even protecting them. The people appeared to know this situation, and their anger against the higher-ups was growing every day." In Petrograd, the heart of the revolution, the lines were just as bad, as this Russian discusses from 1917 "In those days, coming home late at night, I had sometimes seen the bread-line forming for the following morning’s allotment. The poor devils were preparing to stand in line all through the night so as to be served as quickly as possible in the morning when the distribution began. If this had happened only occasionally, it would perhaps have made little impression, but it had been going on for months now and began to look like a permanent institution. The demand ‘down with the lines’ meant far more than it signified on its face. It was a demand for equality and freedom, a protest against privilege, an appeal for the leveling of classes." All of these shortages meant that infant mortality doubled in Petrograd between 1914 and 1916 and many women were forced to stand in food lines for hours every day, even after working for hours in the factories. This was the tinderbox for the revolution, and hunger made it grow. These hardships did not create the revolution, but it pushed normal people to the point where they could identify with a revolution, identify with change. When you can not feed your children, any form of change can seem appealing. Expect a lot more discussion on this topic in a few months when we start to discuss the events in Petrograd at the beginning of 1917. Italy was in for a rough time after entering the war in 1915. At first however, things were going okay and there were not any drastic changes for its citizens. Eventually prices did begin to rise and money became very tight, a situation not helped by the fact that in Italy the men were usually the primary breadwinners in their families, and when these men were called up into the military most families saw a large reduction in income due to how poorly the Italian soldiers were paid. When 6 out of every 7 men of military age were eventually conscripted, you can see how this reduction would be problematic. This hit the urban poor and the rural peasants the hardest since both classes were not categorized as working in a war critical industry and therefore had no possible exemptions from service, of these two groups the urban poor were the worst off since they were so disconnected from any possibility of finding or growing their own food. The government initially did not want to get involved with the economy and took a laissez-faire approach to the whole situation. While this was the initial goal as prices continued to rise and rise it had to step in and place price controls on certain goods. These controls were not as tight as in other countries and therefore did not meet with the typical amount of resistance from the producers. There was also a rationing program put in place later in the war, and while this ration began at a livable amount of food by 1918 it had been reduced several times and was down to at little at 2 pounds of meat a month, 9 ounces of bread, and 7 ounces of other food a day, which is to say, not very much. There were also basically not fats, oils, butter, or milk available. It is likely that Italy would not have been able to carry on at all without the huge assistance of her allies who provided literal boatloads of bread, coal, and meat to try and help italy stay in the war. Even with this assistance there were still some serious ramifications to the huge shortages, there were about 600,000 more civilian deaths per year than in the pre-war years for any number of reasons. In 1917 southern Italy was hit by a severe drought which cut supplies of wheat and vegetables in the region and in the north, the area hit hardest by the war, the people were on the verge of starvation. All of these hardships created a general public unrest, in some areas it brought Italian society to the brink of collapse. Certain groups like the socialists were able to use this unrest, and a healthy dose of propaganda, to set themselves up for a post-war Italy which would quickly slide into the hands of the fascists. In contrast to basically everybody else in Europe, the French had it pretty good during the war, which seems crazy considering how much of the Entente war burden was sustained by the country. It was only in 1917 that the French started to introduce any form of restrictions or controls over food consumption. Sugar was the biggest of the problems, but for nearly everything else things went just fine. It is maybe the most impressive thing about the French government during the war that they were able to find ways to keep the standard of living so high among most of the French citizens, at least those outside the warzone. The final country is the United States which came into the war late, and was therefore less affected than much of Europe in terms of food supply. However, America at this time was not the endless bread basket that it would later come to be, and is even to this day. In fact food production in the United States had actually fallen, on a per capita basis, in the 30 years before the war. This reduced the amount available for export and even when the war brought about a huge increase in exports by 1916 that did not result in a similar jump in production. This caused some concerns in the government, and the eating habits of some Americans were changed there was never any compulsory rationing, and some price increases was enough to curtain consumption. We will jump into the topic of American's entry into the war, and how the country was affected by it later this year.